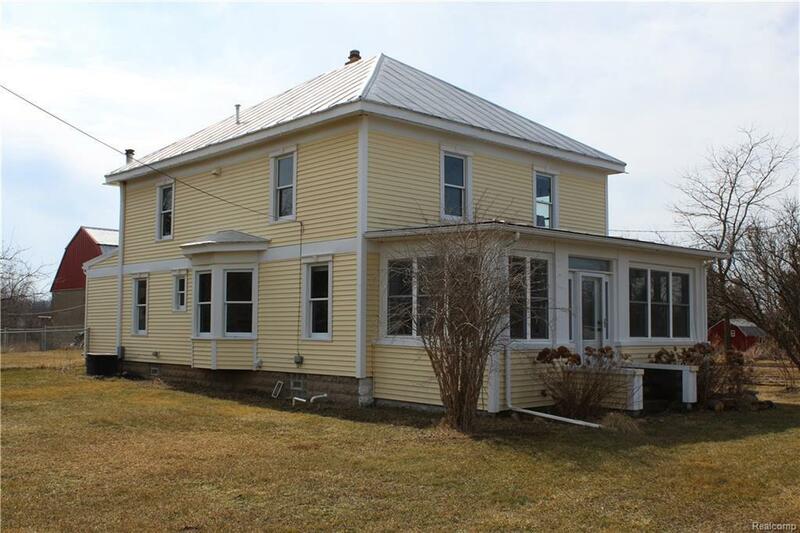 Live the American Dream with this updated Farmhouse on 7.4 acres with Barn. Newly coated metal roof. 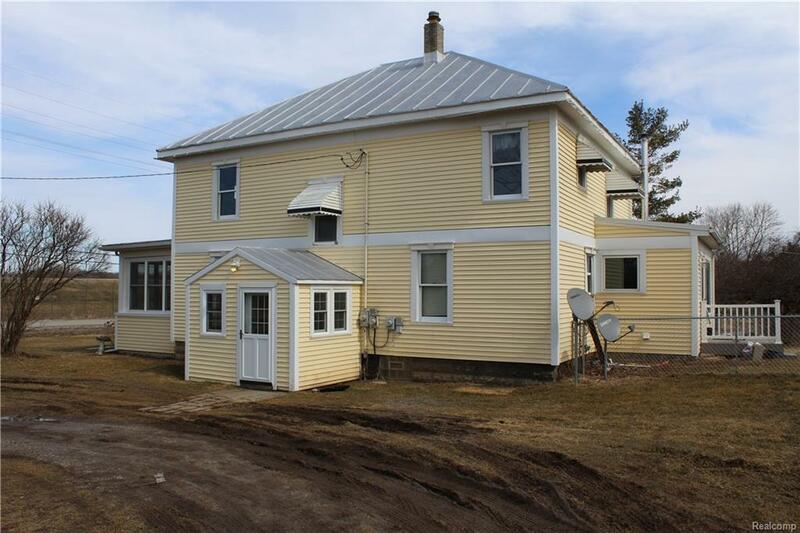 Newer siding on house and barn. Marvin double pane on most windows. Central Air. 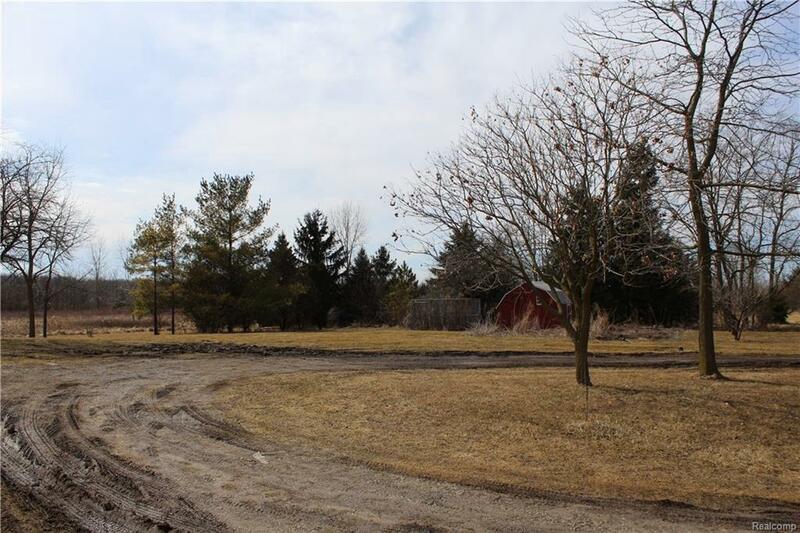 Country living with conveniences of city water, paved road and closeness to town. Beautiful wood case, base, trim doors and floors throughout. Family room offers a Franklin Stove for added warmth. Lovely kitchen with glass cabinetry and solid surface counter tops. Pole Barn has electricity and water which makes for a great workshop. 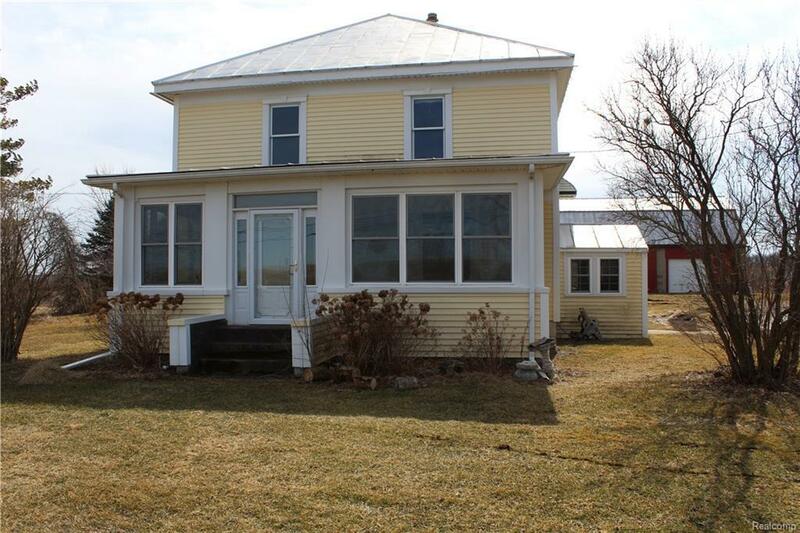 Enclosed porch allows for additional living space. And what farm would not be complete without a mudroom? Schedule your showing today before this one is gone!